I have 6 mags for my P07. I have a P10c ORS on order. Is there anyone out there that does cost effective cut outs to make the old mags work in the new gun? I believe the new OR has the new reversible mag release, so a whole new notch in the mag. I know HBI cuts the P10c notch in the front, not sure if they’ve set up for the new mag release on the new P’s yet. That's interesting. I wonder if the are pictures available that shows the difference? 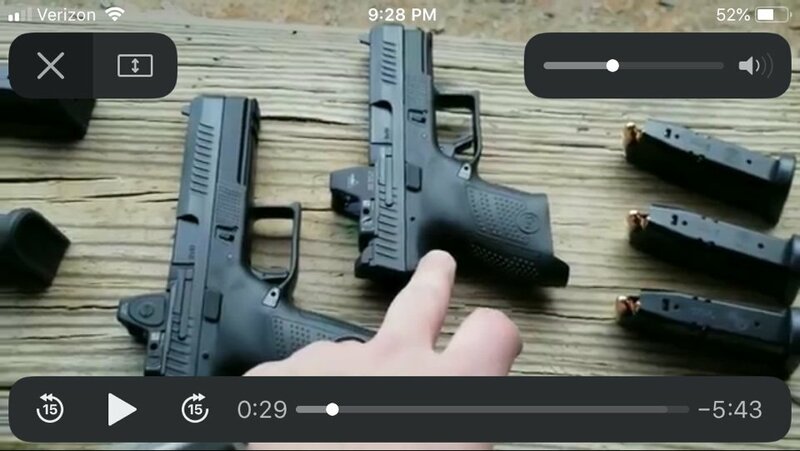 Video here shows the new mags in the F and S. Note the side notch’s for 07/09, Old style 10c (in front) and new side notch’s for new 10 series. These are the only photos/videos I’ve seen. I'm hoping someone starts to offer adding the cuts to old mags. I have a bunch of what are now old style 10C mags that I want to work with the new OR pistols. As am I. Hopefully HBI will do it since they already convert 07/09 to 10c.